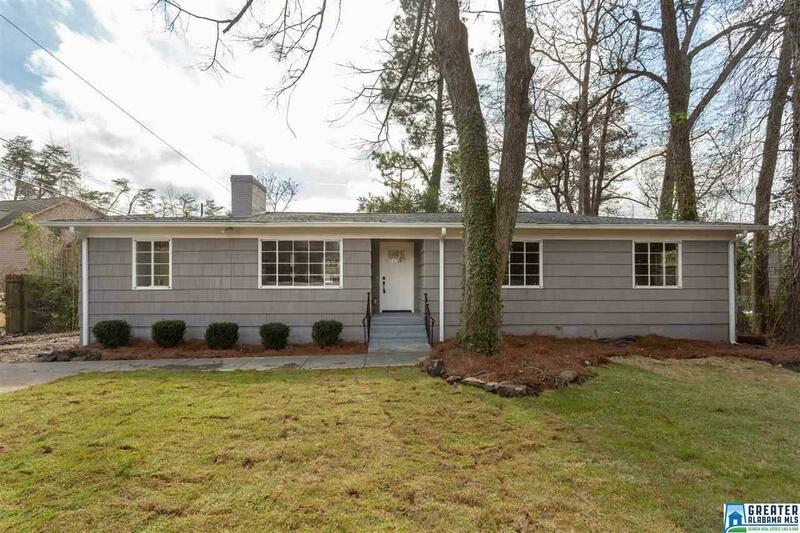 Beautifully, remodeled updated home in the city of Hoover. Incredible location that is convenient to I-65 but nestled away with lots of privacy at end of the street. Home sits on a quiet large lot with no thru traffic. There is a nice paved driveway with two car parking pad in front of house. This stunning home is a one level open concept with 4 bedrooms and 3 full baths. Additional features include fresh paint, new roof, updated electrical and plumbing, updated kitchen with new appliances, new hot water heater, new hardwood flooring, carpet and ceramic tile, updated bathrooms. There is a gorgeous, newly renovated deck in back of home that would be perfect for entertaining. Schedule your showing today before it's gone. Seller will complete landscaping once weather permits. Seller is installing a new septic tank.